LaTeX-bypass software liberates academic and commercial researchers in universities and central banks around the world to produce professional scientific papers (PDFs) with intuitive Windows/Mac interface: from editing screen to printed page (below). How will Scientific Word help you? Runs on your existing Windows and Mac machines – just install and go! This demo includes fractions, square roots, superscripts, greek letters, exponentials and integrals with their limits using Scientific Word/WorkPlace 6. The video lasts 3 minutes – please watch in HD. Would you like to try Scientific Word now? Click... (3 steps to install) Or watch the videos on our Scientific WorkPlace and New Features pages first? 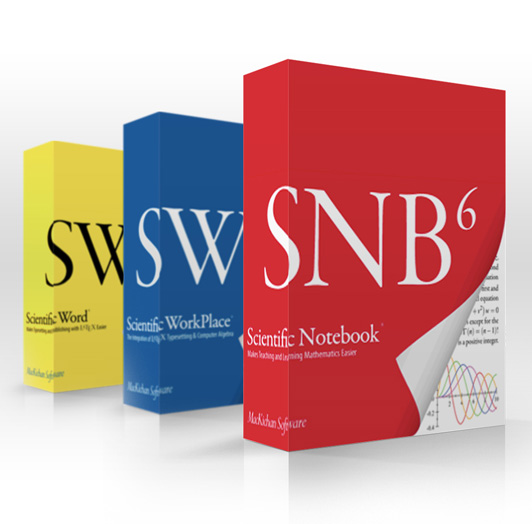 Scientific Word Version 6 brings you the ease of entering text and mathematics in natural notation in an easy-to-use word processing system. Now running on OS X®, as well as on Windows®, with its entirely new Mozilla-based architecture, Scientific Word 6 provides more flexibility for your workplace. You can save or export your documents in multiple formats, according to your publication and portability needs. Your documents are saved as xml files which makes them completely portable across platforms. Sharing your work with colleagues is easier than ever. Scientific Word 6 enhances important features that were present in earlier versions of the program: compatibility with other software and systems; a rich interface based on the logical separation of content and appearance; the natural entry of text and mathematics; and the ability to typeset complex technical documents with LaTeX the industry standard for mathematics and scientific publishing. In XML and XHTML files, Version 6 represents your mathematics as MathML. This makes it easy to create XHTML web files for the representation of your mathematics on various platforms over the Internet with a browser. The recommended browser for Version 6 is Firefox, not Scientific Viewer. Scientific Word 6 gives you multiple document production options. You can choose whether to preview or print directly from the program window	when you are ready for output, or you can view your document in a browser. With Scientific Word you can typeset your document when you need the extensive document formatting that LaTeX and pdfLaTeX provide. New to Version 6 you may Undo an unlimited number of previous editing changes from your current session within a document. Also new is the ability to check your spelling in realtime. With the inline spell checking from MySpell, you can catch any misspellings. MySpell, which is open-source, includes dictionaries in over 40 languages. Misspelled words have a wavy red underline. Scientific Word 6 speeds document formatting with a new visual interface for page layouts. Common tasks, such as a section head and footnote formatting are simpler. This new WYSIWYG interface translates directly to TeX. There is little or no need to use the document preamble or raw TeX commands to achieve the page format you want. Scientific Word 6 supports any left-to-right or right-to-left language that is supported by your operating system. The manual, Creating Documents with Scientific WorkPlace and Scientific Word Version 6, by Clint Hicks, is a guide to the substantial changes in this new version. Written as an introduction for new users, as well as giving existing users information about the important changes to the functionality of our programs, this manual is available as a download. Version 6 provides direct access to the Internet from within the program. The online Help system provides fast information when you need it. 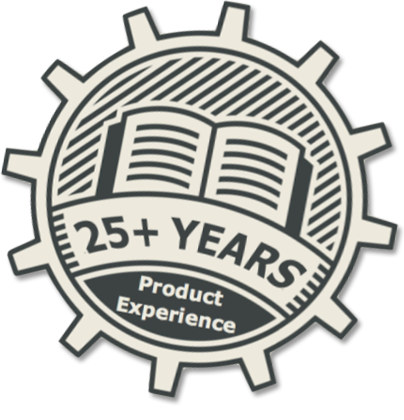 Our Unbeatable Expert Technical Support is available for our licensed users. Scientific Word/WorkPlace, version 6 – "The Basics" from Barry MacKichan. This screencast covers basic editing and manipulating document structure using the new Scientific WorkPlace 6 and Scientific Word 6. Much of it also applies to Scientific Notebook 6. This video lasts 20 minutes and is best viewed in HD. The second screencast, "New Features", is here. Download the installation instructions here for version 6.0 or version 5.5. And we offer our professional Training Courses at 75% discount for small groups of 4 – when you buy the program from us.